David Hays, Upper Savannah COG. 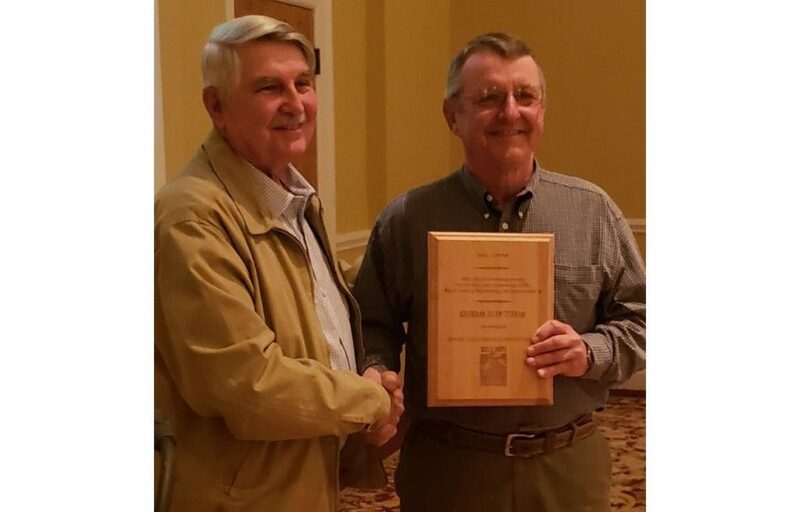 The Upper Savannah Land Trust honored former executive director Wallace Wood with the Peggy Adams Conservation Award during its 2019 Annual Meeting. Wood stepped down in January after serving as the Land Trust’s executive director since 2010. From 2007 to 2010, Wallace also served on its Board of Directors, and as Board President and Vice-President. Prior to that, and throughout his service to the Land Trust, Wood was a frequent advisor, supporter, and volunteer. The Peggy Adams Conservation Award is presented annually to an individual who has made an outstanding contribution to the Land Trust’s mission of conserving natural and scenic lands– farms, forests, waterways, and unique areas of South Carolina’s western Piedmont. It is named after Peggy Adams, who with her husband L.B. Adams organized the Land Trust in 2000, and whose vision the Land Trust still honors. During Wood’s tenure, acreage under protection by the Land Trust nearly doubled, and stands today just 11 acres short of 50,000, making the Upper Savannah Land Trust the third largest local land trust in South Carolina, and the largest in the Upstate. Land trusts accredited by the Alliance meet the highest national standards for excellence and conservation permanence, completing a rigorous review process, and joining a network of conservation organizations united by fiscal accountability, strong organizational leadership, sound transactions and lasting stewardship of the lands they conserve. Under Wood’s leadership, the Land Trust focused much of its effort in the Stevens Creek Watershed, in the Savannah River Basin. Over half of its conservation easement acreage, including protected land that Wood and his family owns, is in this watershed, which has been noted as the 15th most biodiverse watershed in the United States. 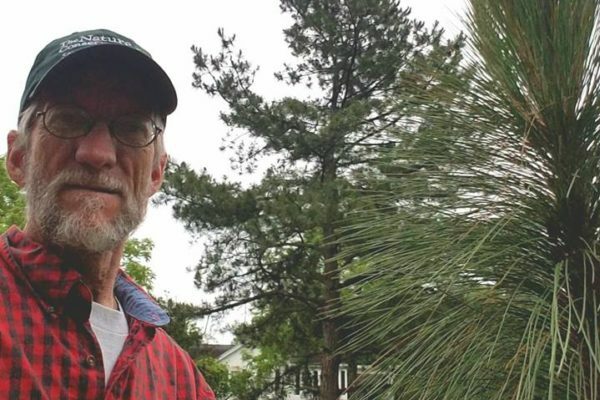 Wood’s successor as Executive Director, Wade Harrison, noted that Wood was working hard closing conservation easements right up though the end of December. In addition to presenting the Peggy Adams Conservation Award, Land Trust officials celebrated a year of successful accomplishment including six new conservation easements protecting over 2,400 acres and a record year in fundraising. 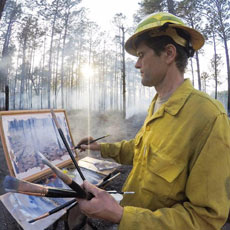 Guests enjoyed a barbecue dinner, and a presentation on the lost grasslands of the southeast by renowned artist/ecologist Philip Juras, of Athens, Ga.
For more information on the Upper Savannah Land Trust, visit scuslt.com or send an email to info@scuslt.com .